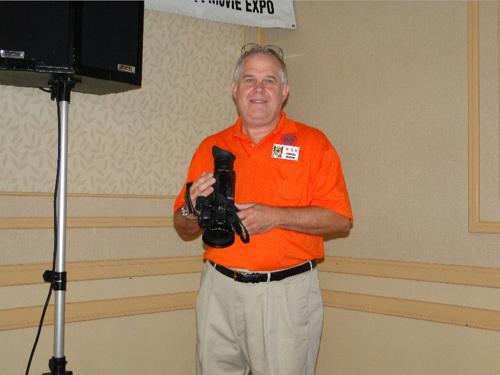 Photos provided by Barb Heiss, Jerry Armellino, Kevin Slick, Charles Henson, Pat Gonzalez, Phil Smoot, Jeff Stoll, and others - thank you! 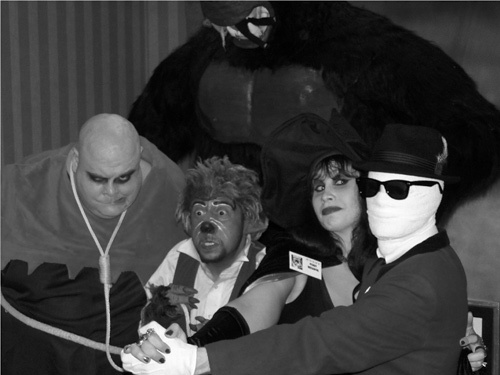 Bash TV horror hosts celebrate in the lobby - a tag team of Ghoul A Go-Go and Penny Dreadful's Shilling Shickers! 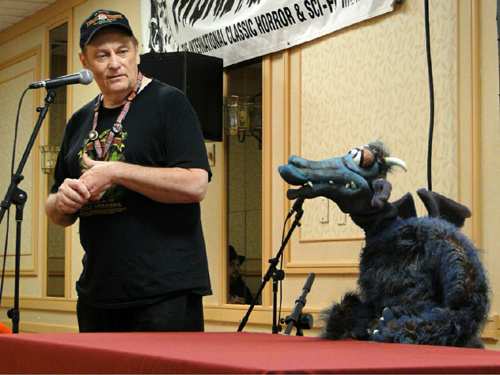 Cortlandt Hull and Gorgo from MONSTER TV introduce the new documentary THE AURORA MONSTERS. Pre-Bash - Usula stuffs bags behind registration. 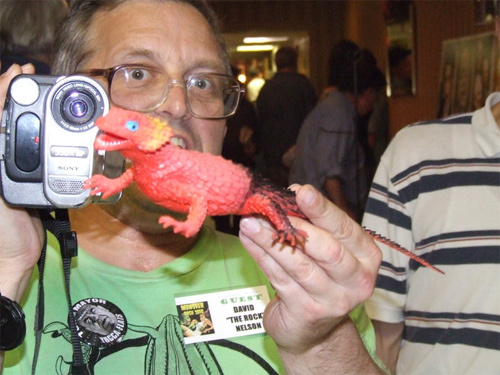 Mike Adams of The Distaster Area Toys in the Creepy Classics Room at Monster Bash. 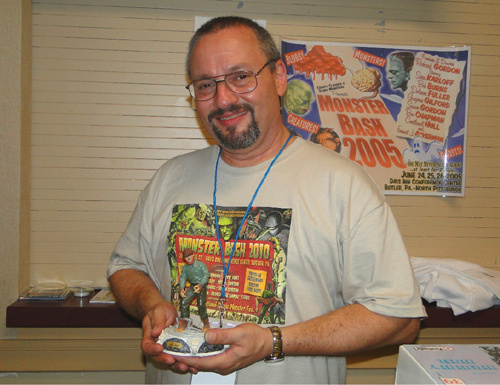 Monster Bash's Bob Pellegrino in the spirit for a rocking classic monster weekend! 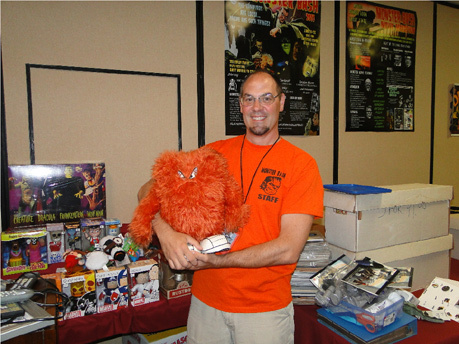 David "The Rock" Nelson hangs with a Saucerman at Monster Bash! Saucerman courtesy of the Armellino family. 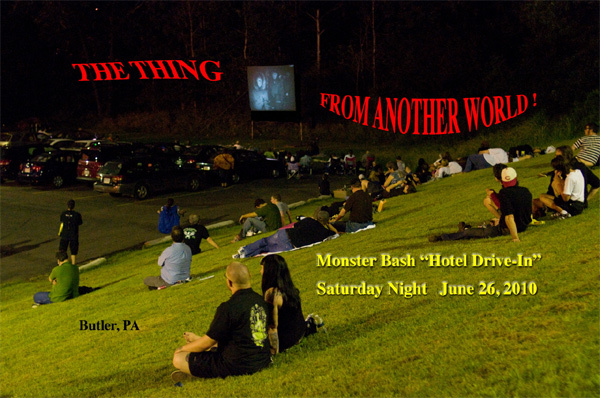 Saturday night drive-in style at Monster Bash...under the stars. Even at the Bash, "Things" sometimes get a bit rough for Dylan Culler (left) & Dalton Smoot (right)! The Thing (Dan Weber) with make-up by Jill from Ballyhoo Productions! 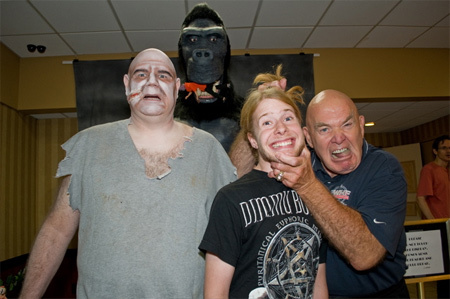 While Tor (Left, Don Reese) the Receptionist happily awaits new students, former teacher George "The Animal" Steele (Right) gives Dalton Smoot (Center) his first behavioral lesson prior to Dalton's entering college this Fall. Dalton receives a more friendly "Martian touch" from War of the Worlds veteran Ann Robinson. 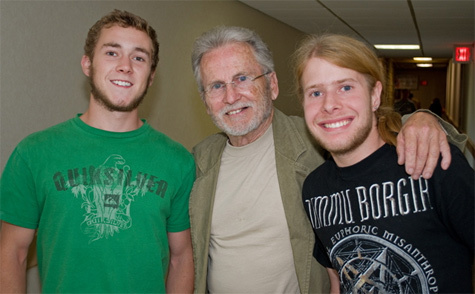 Dylan Culler (L) and Dalton Smoot (R) stood still for this photo with Billy Gray (C). 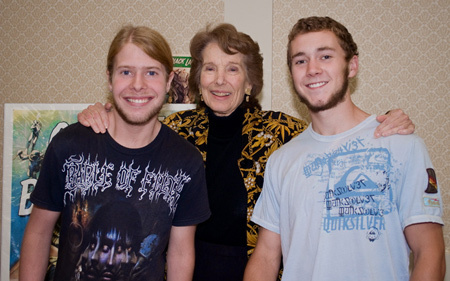 The Creatures From North Carolina (Dalton Smoot & Dylan Culler) pose with the Gill Man's girlfriend, Julie Adams. 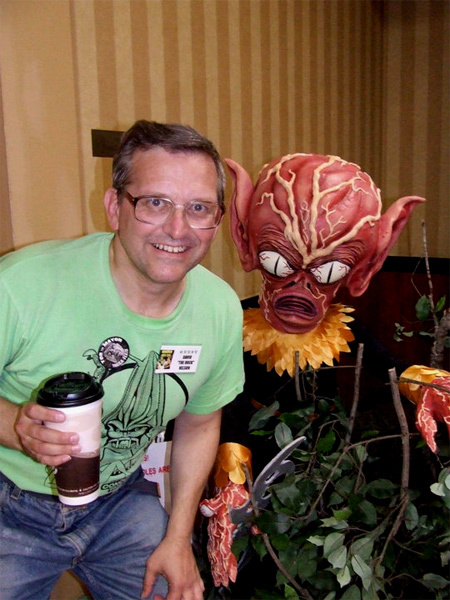 Phil Smoot is not sure who in this photo looks the most alien! 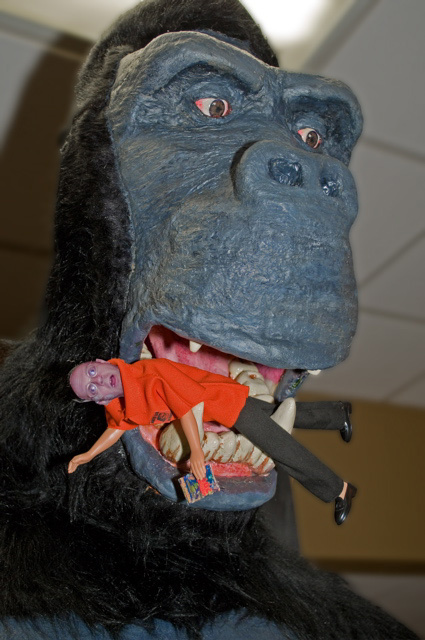 Apparently, Kong is no longer Ron Adams' favorite monster. David "The Rock" Nelson in action at Bash. 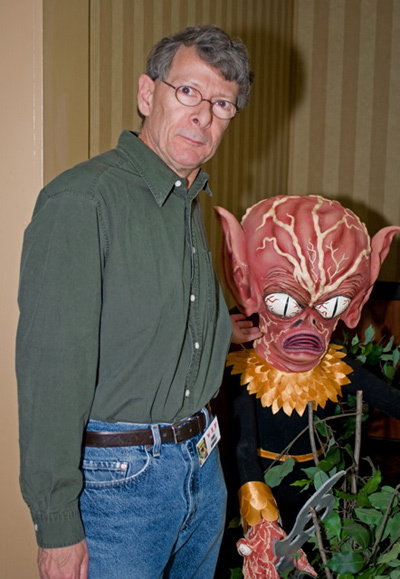 In the Creepy Classics room at Monster Bash.